FC Barcelona would be looking to continue their two match winning streak at Osasuna tonight. After the set-backs suffered at Valencia and against Rubin Kazan at Camp Nou, Barca looked to have got their campaign back to the right track, but still this will be a huge test. The defeat against Rubin Kazan had made the return leg on wednesday a must win affair . In view of that Guardiola would love to give rest to some of the key players. Xavi for me might see more rest after playing non-stop till last week. Henry is back in the squad after recovering from the fitness and he should see some play time. Osasuna currently lies in tenth position in the table. But that doesn't sound too much in Barca's favour as a visit to Pamplona is always regarded as one of the toughest. 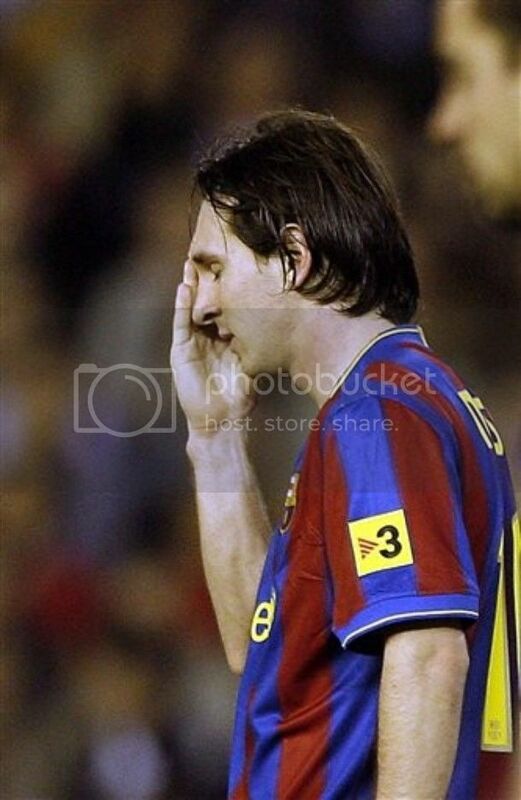 Barca had won 11 times in 31 visits with 10 draw and ten defeats at Pamplona. So this one is definitely a tough one. Last season we won 3-2 here with some late goals. I recently got hold of Full Zip Barcelona Jacket from SoccerPro. I already have received the FC Barcelona navy Blue Jacket but this one has a better Bluagrana identity than the other one. The jacket has a bold red stripe across it's front and back midsection and two thin red stripes on the center of left sleeve. The Nike corporate logo is embroidered on the upper right of the chest. The Barcelona crest is kind of embedded on the left and looks really nice. To top it all the famous mascot is embroidered on the left sleeve. SoccerPro also have the Nike Barcelona Full Zip Jacket - Dark Obsidian and Bright Mango - a variation to the above shown jacket. But I will go with the Blue and Red Jacket as it has a more close resemblence to Barca identity. Which ever you are looking to buy you will get decent amount of discount from SoccerPro for any Soccer Apparel. The clearance sale is also on at SoccerPro and you would definitely want to check the same. FC Barcelona extended their lead at the top of the league to three points with a marvelous 6-1 thrashing of Zaragoza. It was quite a night with Keita scoring a hat-trick. Not many times you will see Keita outscoring the likes of Messi and Ibrahmovic. There were serious doubts about Barca's form, but the players put them into rest with a sensational display. Apart from Keita's hat-trick, Ibrahmovic scored a brace and Messi added one to complete Barca's tally. 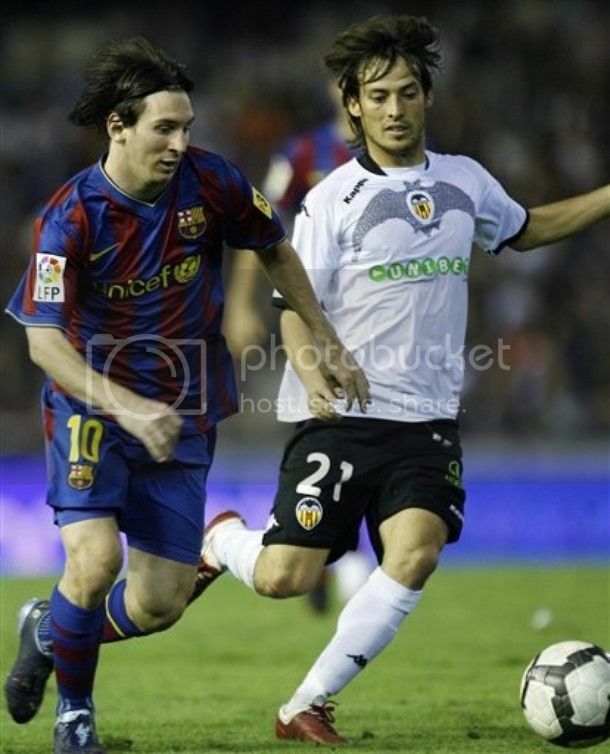 Lopez was the one who got the consolation goal for Real zaragoza. Guardiola had Puyol, Pique, Chygrynskiy and Maxwell in the defense infront of Valdes. The midfield was formed by Keita, Busquets and Xavi. Iniesta, Ibrahmovic and Messi formed the attacking trio. FC Barcelona would be looking to put behind them the recent set-backs suffered in their campaign tonight at Camp Nou. A failure to defeat Zaragoza at home will see alarm bells ringing around Barca faithfuls. With Gijon holding Real Madrid to a goal less draw last night, it is upto Barca to capitalise on Real's slip up. A victory tonight will take them four points clear of Madrid and will put enormous pressure on a side which has spent 250 million this summer. Barca players also will be looking to silense their critics with a stellar performance tonight. 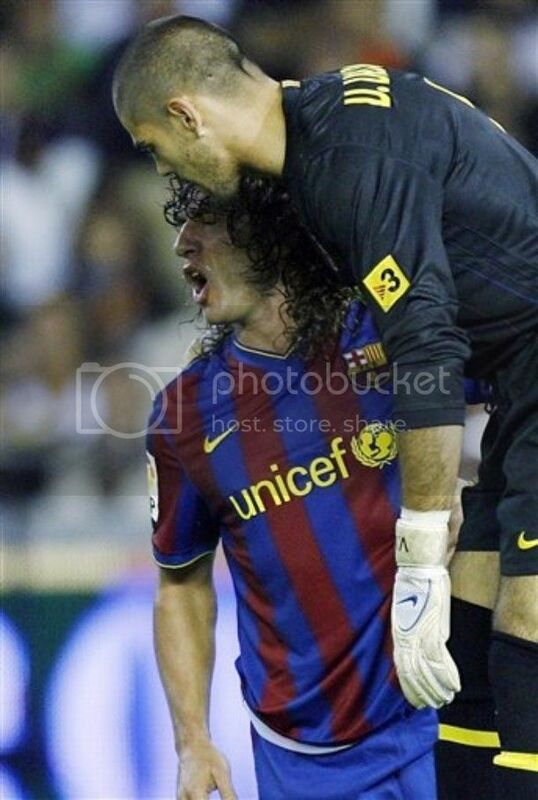 With Dani Alves injured it is sure that Puyol will be playing as the right back. But whether Chygrynskiy will feature after a injury-layoff is yet to be seen. Zaragoza alwas have been a tough opponent for us, but they were relegated last season. Hence they may not be the same opponents like some seasons ago. I have been on road for last two days and missed the Champions league match against Rubin Kazan. So this one resulted in the first defeat officially this season. Now if we take the last three matches into presective, there could be some alarm bells ringing. The 1-0 victory against Almeria was far from convincing, the draw at Valencia was aided by some heavy fortune and the 2-1 defeat can be attributed to lack of the same. But the cry of a crisi could be too pre-mature but everyone agrees that if we don't deal with this early this could spell trouble. In the last three matches we definitely had trouble with our finishing especially against a desperately defending side. Complacency could have been a big contributing factor but I think the bigger factor could be that we are not yet playing at the pace which we used to play last season. It is also time for us to understand and plan for ultra defensive opponents. I have earlier explained that rather than crying about these tactics we could do a world of good if we start preparing for these types of matches. 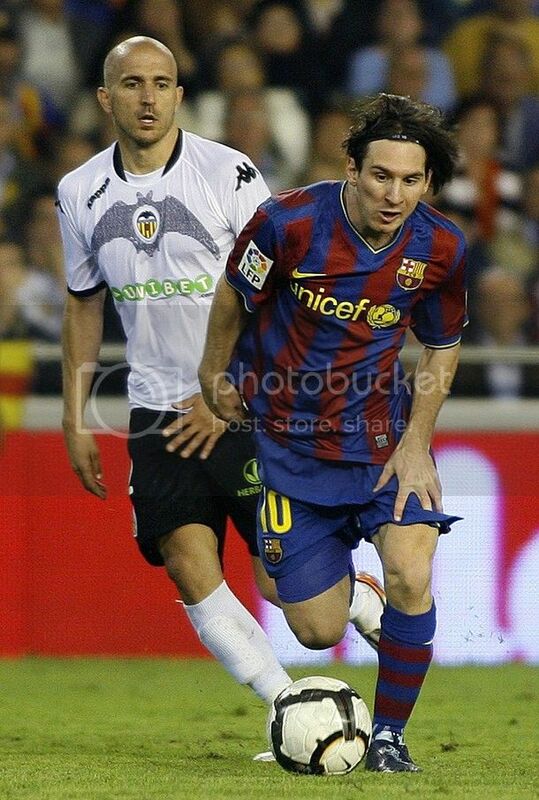 FC Barcelona's winning streak came to a hold at the Mestella, when they were held to a goal less draw by Valencia. Actually Barca was lucky not to have lost the match, a combination of great goal keeping by Valdes and some poor finishing by Valencia players prevented a Valencia win. 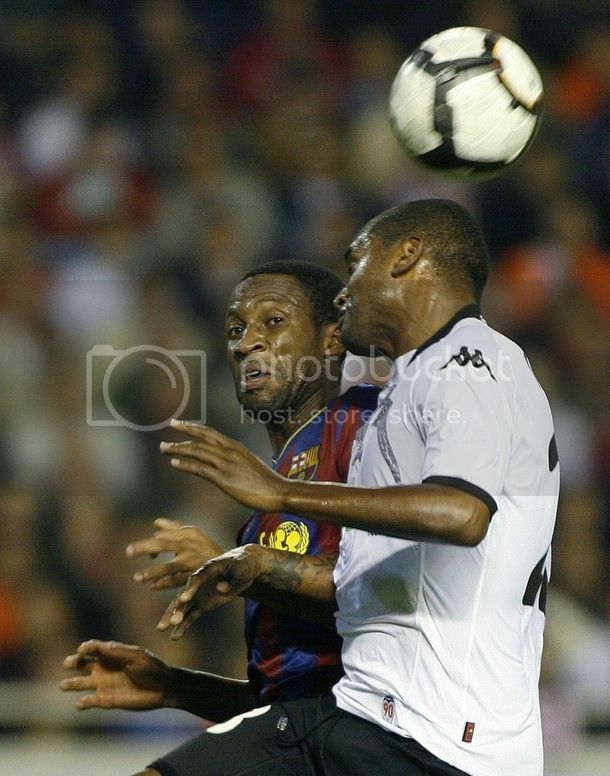 Valencia were the better team in both the halfs, especially in the first half. David Villa was ruled out of the encounter and would have definitely made a difference with his finishing. 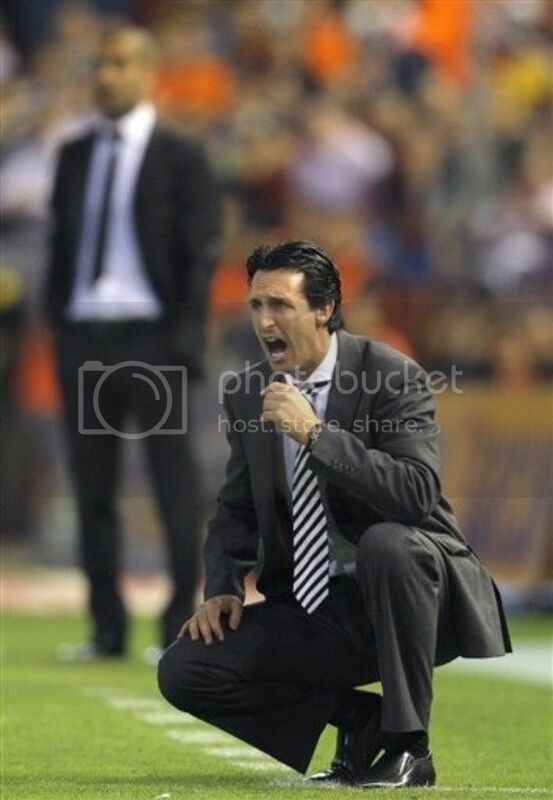 For Barca Ibrahmovic and Bojan both started from the bench. Valdes kept the goal ahead of a defensive formation of Alves, Puyol, Pique and Abidal. Xavi, Keita and Toure formed the midfield. Iniesta, Pedro and Messi formed the attacking trio. The lack of a genuine centre forward means that we were going to struggle knitting up attacks. And to make matter worse we lost the midfield battle in the absence of Iniesta from the midfield. In attack Iniesta was the best Barca player in display. Ok, first of all some glad news to Barca fans in sub-continent. TenSports is telecasting Barca TV every Tuesday at 11:30PM Indian time. Last week we had the re-telecast of FC Barcelona vs Almeria match. Let me repeat it is no live telecast, but it is good to see the matches in full in TV after two days, atleast it is better than nothing. I had so many people complaint here about the lack of quality while streaming via internet. As of now you have to still stream the matches if you want to watch it live but then it will refreshing to watch the match properly after some time. Ok, let's just look it in a positive way - It is better than nothing. Argentina finally qualified for South Africa with a 1-0 victory against Uruguay. It was no classic attacking performance, but was a very efficient one considering that Argentina needed only one point to go through. Lionel Messi once again failed to shine and he will continue to do the same until Maradona decides to use him a bit behind the forward. The lack of service to Messi upfront means he is simply wasted at his position now. But still it would be great for Messi that they have managed to qualify. Have they failed it could have affected his performance at Barca. Goal.com reported a story which featured in Daily Mirror about a possible exchange deal involving Kompany and Robinho for Yaya Toure and Puyol. This definitely has to be a joke or an imagination of some disturbed mind. Howelse you can explain the exchange of one of the best defensive midfielder and defender for two players who are struggling to find a regular place in the Manchester City side. But there could be some deal involving Yaya or Puyol in next summer. For some insane reason I have always felt that Guardiola rarely appreciate the value of Yaya Toure. Maybe he does not think him to be a good player, but for me he is the best defensive midfielder along with Essien in the business. o I won't be too much surprised to see him leave in the summer, even though I will be really shattered. He is the best assurance our attack needs in the midfield. In the case of Puyol, Barca management has given him an ultimatum to complete the contract negotiation as soon as possible. Puyol's agent alleges that Puyol is not happy with his role in the side but I don't think Barca will let him go. Especially a new president will have a tough time expaining the departure of a player who has become the symbol of Barca around the world. On top of it, Puyol is a wonderful defender. He may not be the most tecnically brilliant defender in the world, but he one of the most effective. And the spirit he brings to this side cannot be replicated by anyone else. An injury time winner by veteran Martin Palermo kept Argentina's qualification hopes well and truly alive. Argentina was cruising to a victory courtesy of a strike from Higuain but was stunned when Peru equalised in the 89th minute but was saved by a goal from Palermo deep into injury time. In a rain spoiled match Lionel Messi struggled to find his rhythm, but Maradona looked not concerned about it, standing firmly on his belief that Messi is Argentina's "Ace Of Spade". It still puzzles me why Maradona prefers Heinze in the centre defense when he have the likes of Walter Samuel and Zanetti available. But the decision to bring back Aimar proved right as he provided the assist for Higuain goal. I have earlier written about How Maradona should Line-up. In that article I have written why Angel Di Maria should be involved in the midfield and I was proven right by his performance. Argentina lies in fourt place now and a victory at Uruguay will secure their spot in South Africa. Meanwhile France thrashed Feroe Islands 5-0 and has qualified for the play=offs. Serbia has topped the group and booked their place in South Africa. In a very crucial match Sweden went down to Denmark by a solitary goal. This puts Sweden's campaign at risk as Portugal won against Hungary. With Sevilla beating Real Madrid, FC Barcelona has moved to the top of La Liga with a three point lead. Real Madrid side, who were without Ronaldo went down at Sevilla 2-1. Now Barca is the opnly team which has a cent percent record in this season's League campaign. A three point lead at this early stage will be significant and will help us to put more pressure on the Madrid side in the coming weeks. I had some issues with the blog and could not write about the last match. FC Barcelona surprisingly struggled to a 1-0 victory against Almeria at home. may be the word struggling is a bit of unjustice but we did struggle to find their usual rhythm. It was mainly due to the lack of footballing intent from Almeria which resulted in us having an enormous 71% possession of the game and the creative midfield of Xavi was kept constantly under mark. Chico was assigned to mark him and did that with full commitment showing no intent to touch the ball. But it is again good to see we winning not that beutifully, it shows the grit of the team and I have to appreciate Guardiola's quick thinking to have Marquez move in to Xavi's position while Xavi drag players to the side. At times in this match our finishing was left wanting. But what worries me most is the refreeing in the last two games, we definitely should have had atleast one penalty but like last match that wasn't given.